You probably know by now that I am a proponent of "voting with your dollar." The name of this brand new jewelry company shouldn't surprise you, then. Ways of Change is all about using purchasing power to affect change around the world. By bringing a global, online marketplace to the table, Lauren Baird and Cara Boccieri hope to help Kayan and Karen refugees living in Thailand bring their crafts to the global fashion set. Every item by Ways of Change is handmade by a refugee residing on the Thai-Burma border and is comprised of upcycled brass. Though the pieces are simple and tend towards a casual style, they certainly manage to catch the eye. 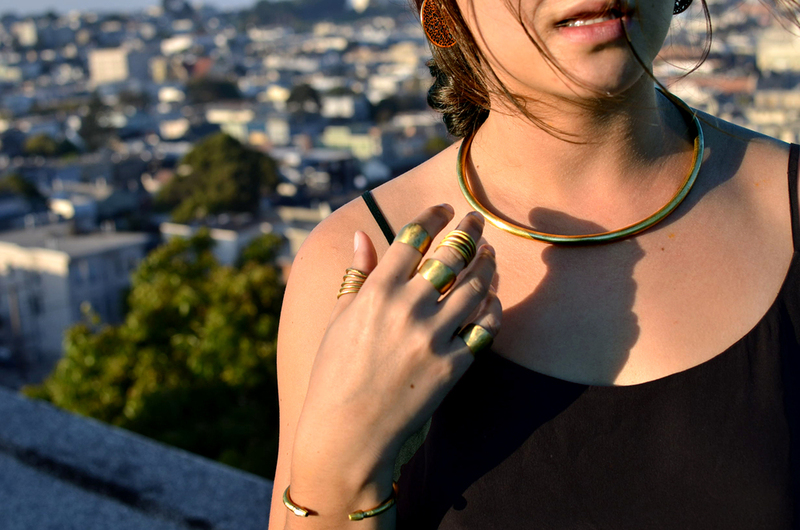 I found that these pieces were perfect for an afternoon in San Francisco, with the sun touching down on the horizon and the wind whipping through the city's hills. 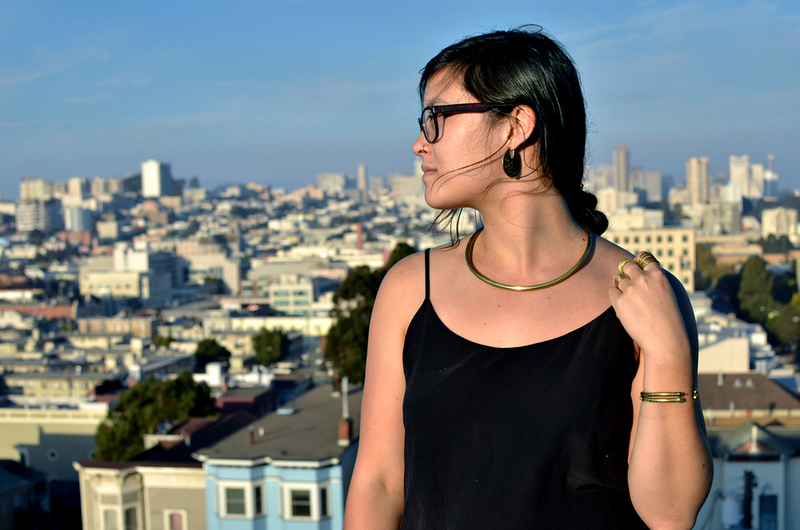 My favorite pieces from the Ways of Change debut collection are by far the Kan Bo choker and bangle. The long-neck tribe inspired brass bars have just the perfect weight on them, and the tapered ends coupled with subtle, etched detailing give these pieces a glamorous-punk feel. I was gifted a Kan Bo bangle in exchange for writing about Ways of Change, and have enjoyed wearing it while dressing up or down (Jeremia has been wearing it too - this bracelet looks great on a man!). If you are looking for an easy to wear piece that gives back to displaced communities, Ways of Change is perfect for you. This is jewelry that not only looks good, but that also feels good to wear, remembering the people who made it. Ways of Change is coming out with a second collection soon, so be sure to keep your eyes peeled! How will you wear your Ways of Change? All photos courtesy of Michael Bell.